A licensed agent of “The Brock Team” at SouthSide Realtors. Stacy specializes in building lasting relationships, and providing top notch service to her clients for 15 years and counting! She understands that buying and selling your home can be a complex process, and strives to make it enjoyable for her clients. Whether you are needing expert advice, market information, or assistance in finding your perfect home, she is excited to help with all of your real estate needs. 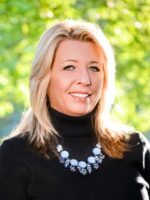 Stacy is a life long resident of Georgia, and her unmatched knowledge of the area as well as the market, serve her clients that are purchasing or selling properties. Stacy is happily married and in her spare time she enjoys spending time with her family, traveling and taking care of her puppy child Rocko.